A few years ago we were in Berlin, Germany and discovered a fantastic Italian restaurant around the corner from our hotel. We ordered an antipasti plate and on it was pesto, but it tasted like no other pesto I had before and it was delicious. I asked the waiter what was in it…. and he revealed it was made not with basil but with arugula. I was in shock. I never heard of such a thing. When I told him this HE was in shock. 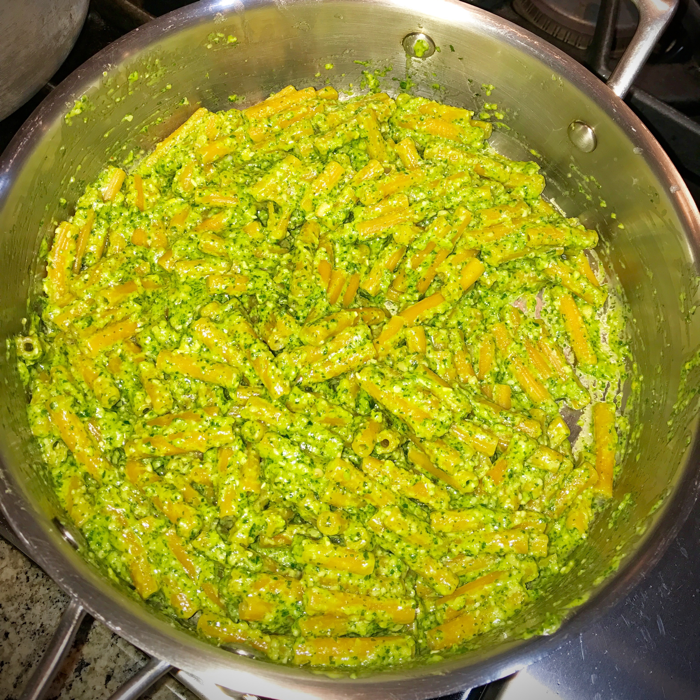 Apparently, arugula pesto is a thing! 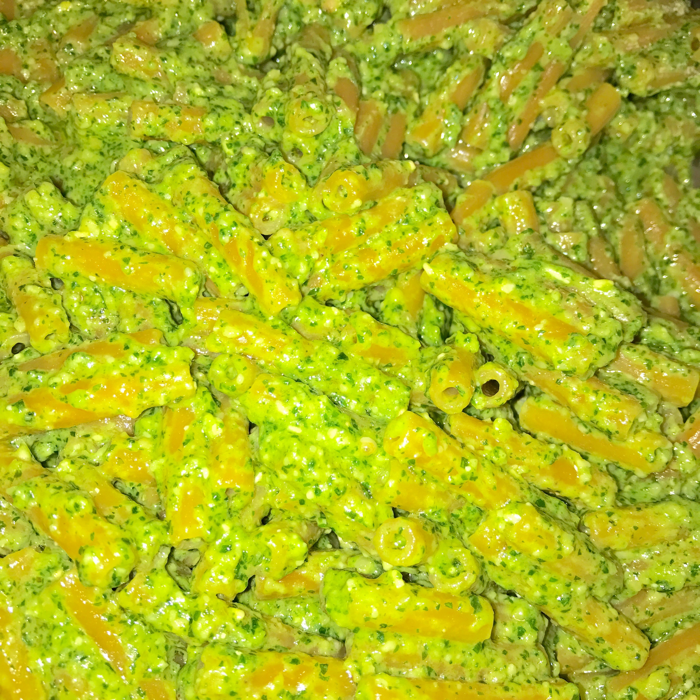 I decided when I returned home that I would be whipping up my own version of arugula pesto, and here it is. Take all your ingredients and place them into a food processor. 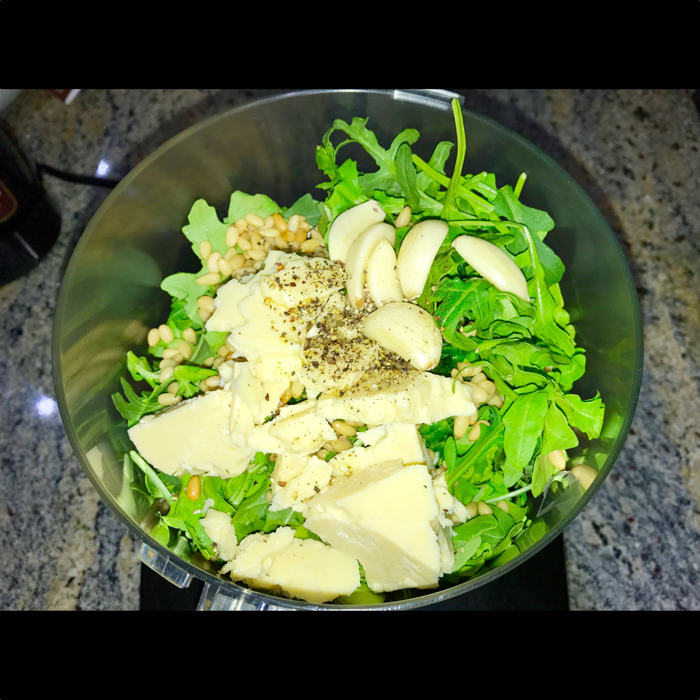 Make sure your arugula is washed and dried, peel the garlic cloves, and be generous with the cheese! I like to use aged white English coastal cheddar. 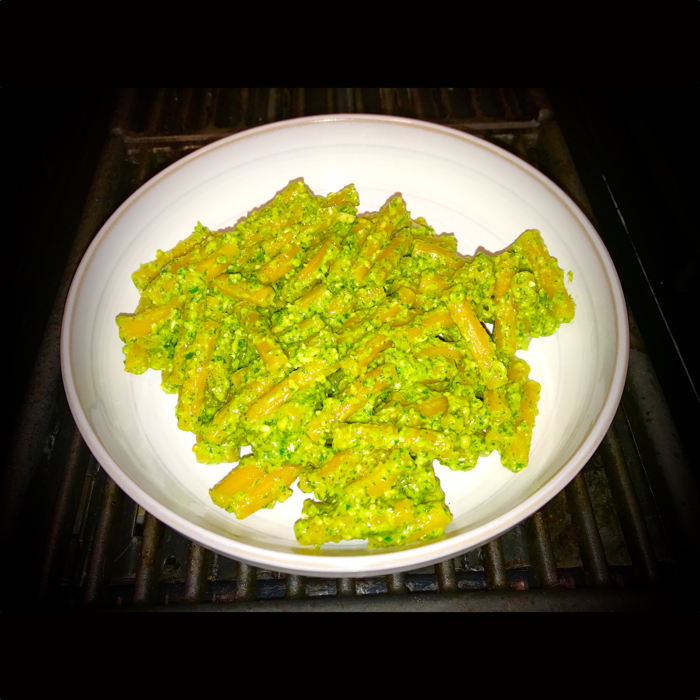 The measurements for this recipe are approximations so you can adjust it to taste. Buzz it up until it has a nice smooth texture. There are so many ways to serve up arugula pesto. I use it in pasta or plate it with cherry tomatoes sliced in half. 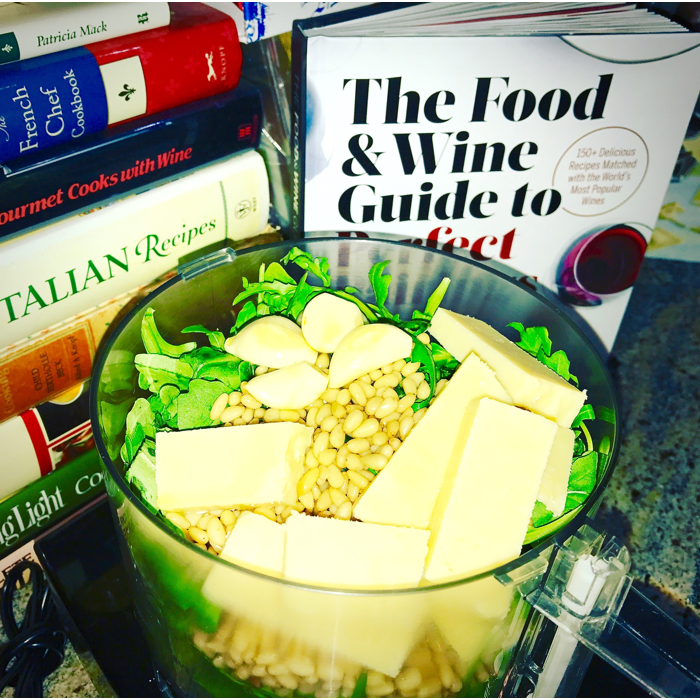 I love this recipe and store batches of this pesto in repurposed Dijon mustard glass jars on a regular basis so I always have the option to make pesto pasta after a long day and no time to prep dinner. 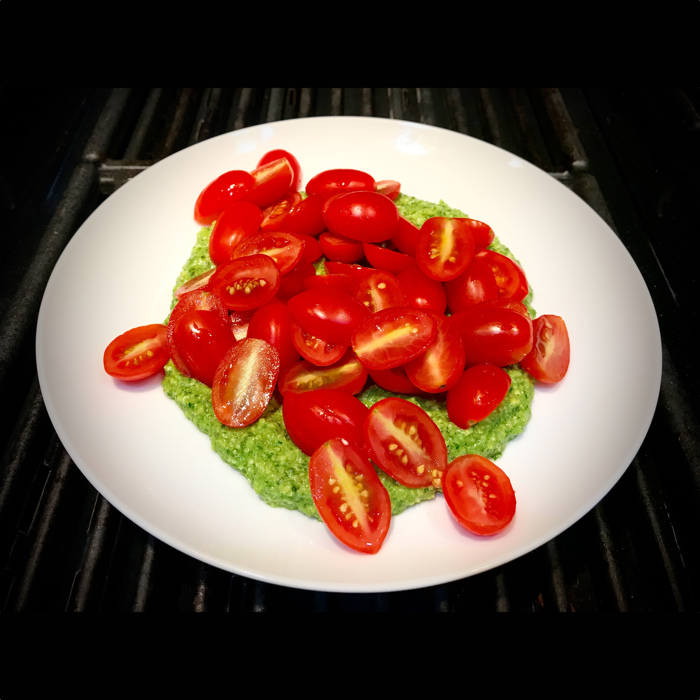 Gluten-free, vegetarian, keto, no-cook recipe, dressing, sauce, marinade, spread, dip, pasta sauce.